Submitted by SCAW Donor, Lauren Seabrook. My name in Lauren Seabrook (pictured at left) and I live in Yellowknife, NWT. Click on graphic to see a larger version. I believe that together we can make a difference in this world, and I chose SCAW as a stepping stone on the path of change. I have created my own slideshow on SCAW and have already presented to 3 classes and raised over $550. What I did with my own class is that I gave them the presentation and then asked for small donations. This was around Christmas time last year, so one or two people bought the whole $35 donation to give to their families for a Christmas gift. Others brought donations ranging from $3 to $20. Those who brought $35 chose what to write on their photo label. For the ones who did not donate the whole cost of a bedkit, I put all the money together and purchased as many bedkits as I could under the class name. For example one of my class labels said '2011-2012 6B William McDonald Middle School.' As a class we raised $105 over 4 days and were able to purchuse 3 bedkits. It is my wish that I can continue to do this. I have raised enough money to buy thirteen bedkits and a few books, calender, cards, and post-it notes. I have recently been given $200 by my school to make a SCAW section in our library with books and other materials. I already have a few fundraisers planned for this year to bring in some money to buy even more bedkits. My goal is to buy 20. It is my dream to be able to travel with SCAW to places in need one day. I would do anything to make a child in Africa or anywhere else, smile! As posted on Simcoe.com, October 18, 2012. GILFORD — Sunday School children of Gilford United Church are inviting members of the community to come out and support a homemade soup contest in support of Sleeping Children Around the World, a not-for-profit group that provides bed kits for children in the Third World. 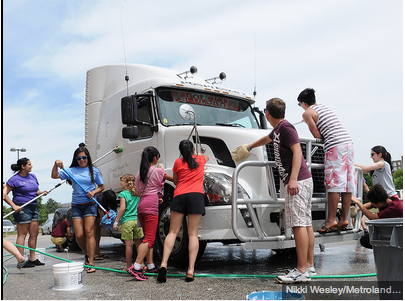 The event will be held on Sunday, Oct. 28 from 11 a.m. to 3 p.m. at the church, located at the corner of Gilford Road and the 20th Sideroad. 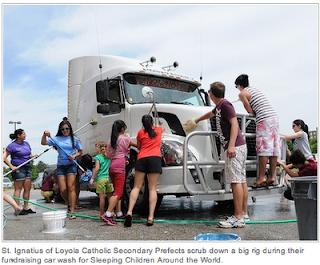 In the past 10 years, the Gilford kids have raised enough money for 100 kits, each worth $35. This year’s goal is 50 kits. Celebrity cooks invited to participate include Mayor Barb Baguley, MP Peter Van Loan, Gilford United minister Glen Eagle and The Club at Bond Head chef. The cost to sample all of the soups is $5. Included in the price are a beverage, rolls and dessert. Admission Free. Donations will be accepted. As posted on the Simcoe.com website, September 27, 2012. BARRIE - After years of helping out others in need, Barrie’s Al Zaba is getting national recognition. 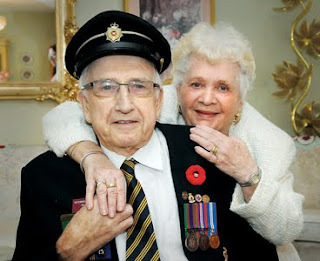 On Friday, he’ll be given the Queen’s Diamond Jubilee medal. Zaba, 83, said maybe his thought to help others came from his father. From then, Zaba’s father bestowed similar kindness to others. Zaba is one of 11 local residents who will be given the medal for their contribution to the community. Zaba served in the military from 1945 (when he was technically too young to enlist) to 1960. From there, he left to work in a wholesale company in Lisle for four years and eventually bought A&M Superfood store. 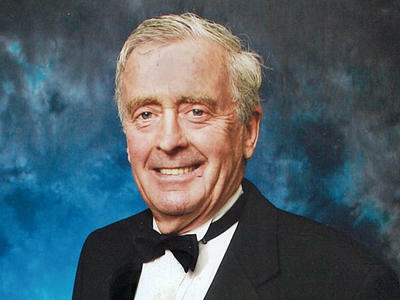 After running the company in Angus for a number of years, he brought it to Barrie in 1985. 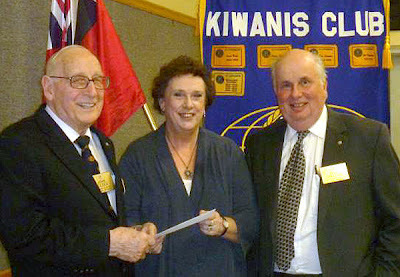 He was introduced to the Kiwanis Club by Bruce Owen in Angus. The Kiwanis Club of Barrie just celebrated its 90th anniversary, and many projects have happened because of Zaba’s enthusiasm. “There was a little girl when needed a hospital bed at home, and I visited her mom and we were able to give that girl the bed she needed,” said Zaba, reflecting on one contribution. He’s donated every year to the Salvation Army, Sleeping Children Around The World, Hospital for Sick Children, and has a foster child in Africa he’s putting through school. Zaba said his favourite accomplishment was being able to donate leftover military food to native children in Whitehorse, Yukon. Zaba was nominated for the Queen’s Diamond Jubilee Medal by The Barrie Advance. secretary of the Kiwanis Club of Trenton. Vivienne Jaehn-Kreibaum took Picton Kiwanis Club members on a ‘Journey of Hope’ at a recent club meeting. 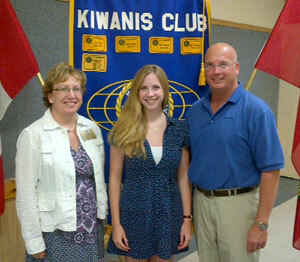 Vivienne is the daughter of Christian Jaehn-Kreibaum, secretary, and past-president of the Kiwanis Club of Trenton. She spoke of her January/February 2012 trip to Tanzania, East Africa, along with a group of high school students who embarked on a two and a half week Journey of Hope. She told Kiwanians the students worked with children whose parents had died of HIV/Aids. They taught English, math and computer skills. They also helped build and paint schools. She spoke passionately about the needs of these children and also about how warm and friendly they were. This past April, Vivienne was also elected Student Trustee Liaison for the Kawartha Pine Ridge District School Board, which consists of 35,000 students. A donation was made in her name, to Sleeping Children Around the World, and a child in need will receive a bed kit. 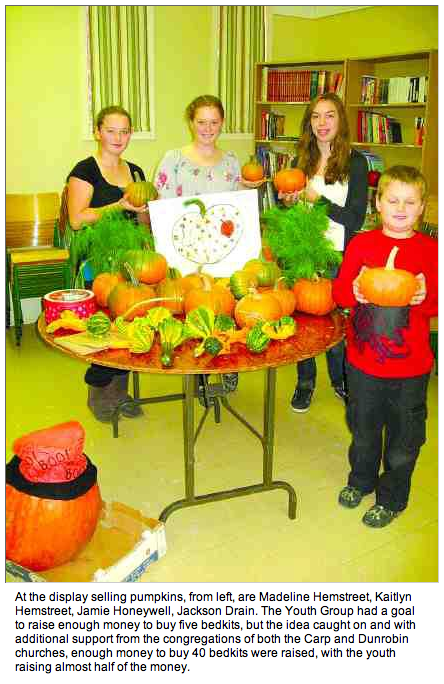 Picton Kiwanians continue to reach out. On Monday, July 30, the club launched its new project called ELIMINATE – with a focus on eliminating maternal/neonatal tetanus in developing and underprivileged countries. It is a Kiwanis International project for the next three years. 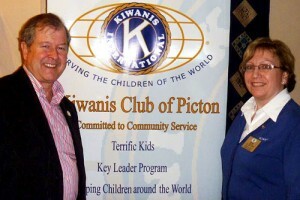 Kiwanis President Geri Claxton will chair the project for the Picton club. 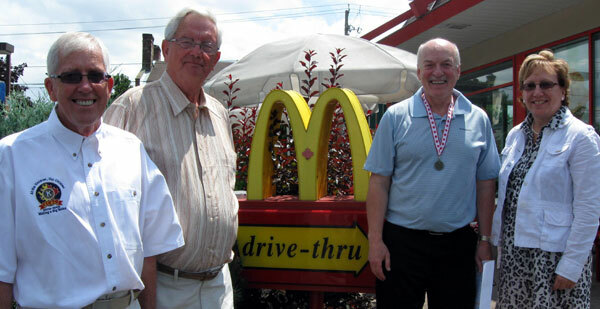 The Kiwanis Club of Picton presented a Terrific Kids award to Dan Doyle, owner of McDonald’s Restaurant in Picton in appreciation of his support of the club’s Terrific Kids program. The Kiwanis Club also thanks all schools and teachers for their support. This program presented 923 awards this past school year to nine elementary schools in Prince Edward County, Marysville and Deseronto. Each month has a different theme, Respect, Responsibility, Empathy, Cooperation, Honesty, Caring, Humour, Perseverance, and Integrity and Sportsmanship. Each child can only win one award in any given school year. Pictured, from left, are Terrific Kids co-chairs, Don Stanton and Rollie Moore with and Geri Claxton, president of the Kiwanis Club of Picton. Click graphic at right for more info & directions. Help us to celebrate the unique Canadian charity, Sleeping Children Around the World. For more than 40 years they have sent out a 1.25 million bedkits to needy children through the world. 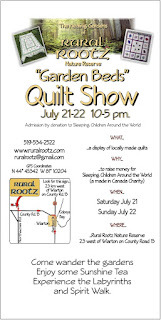 Garden Beds Quilt Show, and it will feature many of Marjorie Ashman's bed covers and wall hangings. A special feature will be a Dresden Plate design quilt created right here in Wiarton in the summer of 1912 for my grandparents, Eloise Elizabeth MacDonald, and James Gordon Adair McEwen. 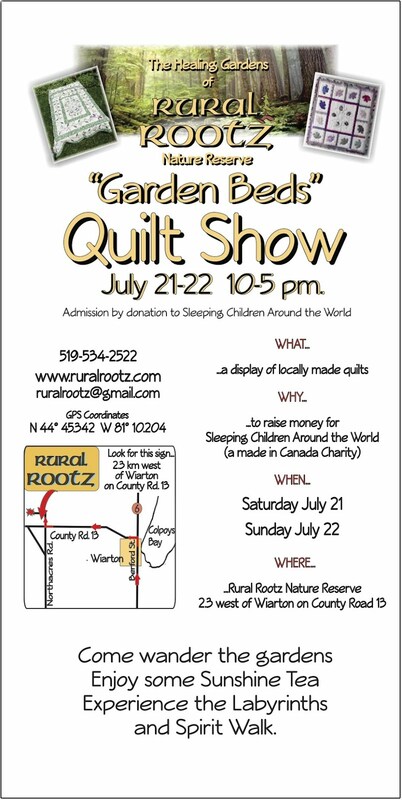 There will also be new quilts and wall hangings from our friends Wiarton's Creative Stitchers. Please join us in the gardens for a tour and a glass of Sunshine Tea and help SCAW by making a donation. If you can't get here send us good thoughts and perhaps make an online donation at the SCAW website. And help us by "Spreading" the word about our event. Slideshow taken on July 22nd at Rural Rootz. After having such a fantastic turnout at the first Hungarian Goulash Cookout in Hastings, we've decided to do it again. 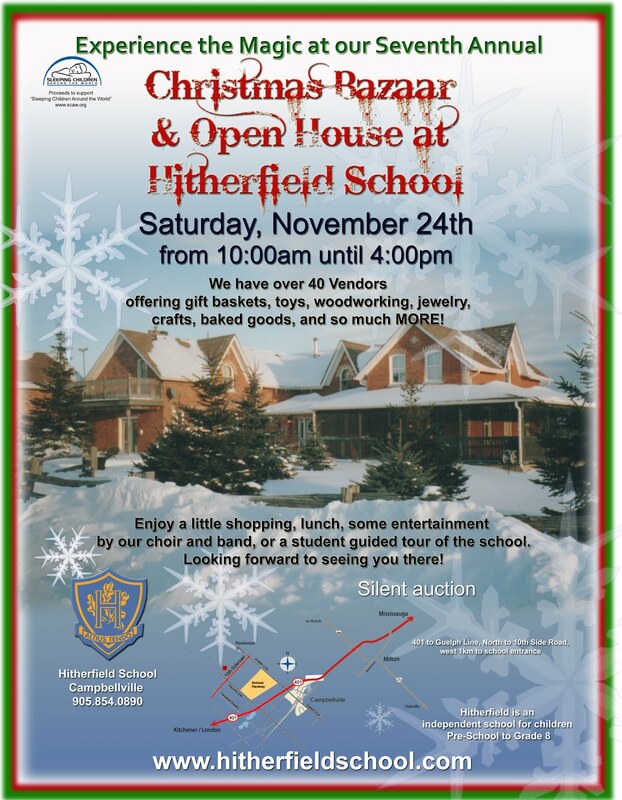 This year we are hoping for a larger attendance. 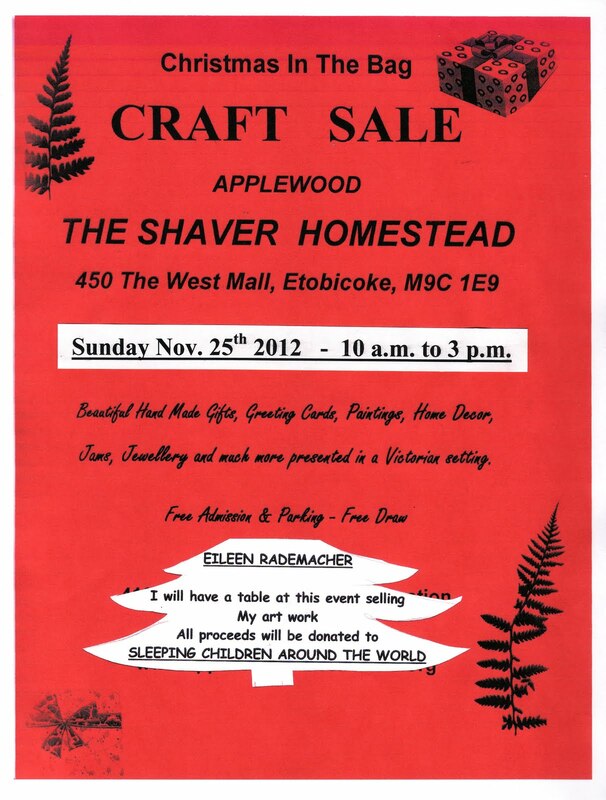 Bring your families, friends and neighbours and let's raise more money for Sleeping Children Around the World. You will experience great company, delicious homemade Hungarian Goulash, a variety of homemade breads, salad with a tasty homemade dressing and a huge assortment of homemade desserts!! 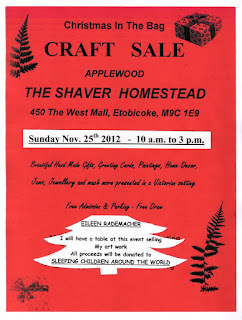 Please remember to bring your lawn chairs and your take home containers, as all leftovers will be sold!!! As posted on the Macleans magazine website, June 22, 2012. There have been numerous occasions when I have been so proud and grateful to be Canadian: at school, at Church and while travelling abroad. Probably the most memorable time ever was when I travelled to the Philippines. I am a travelling volunteer with Sleeping Children Around the World (SCAW). This is a Canadian charity that distributes bedding, clothing and school supplies to some of the poorest children in the world. (We are a true charity, sending 100% of all money raised to the children.) I have been to Africa and India with SCAW. 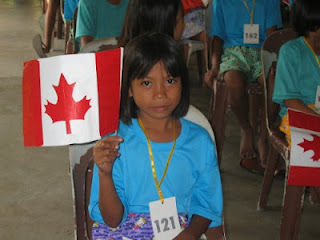 But it was our distribution trip to the Philippines that was the most touching. We stopped at 11 different locations across the islands. The same sequence of events followed at each and every location. About 500 children, their families and volunteers waited patiently for us to arrive at each site. As the ceremony commenced, they would all sing the Filipino national anthem for us. Then our small team of only 6 Canadians, adorned with Canadian hats and flags, would literally belt out our Canadian anthem. We were all so proud to be Canadian, doing what we do best—living and giving generously! This trip was how I celebrated my 50th birthday. 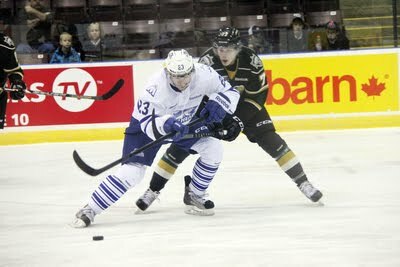 As posted on the Peterborough Examiner website, June 7, 2012. 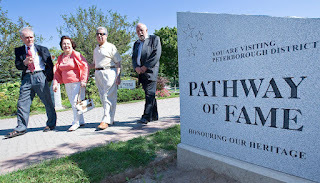 The 2012 inductees to the Peterborough and District Pathway of Fame have been announced and, as usual, feature a wide variety of well-known Peterborough and area names. The induction ceremony will be held at Showplace on Sept. 8 at 10 a.m. The superb works of art of Neil Broadfoot, a Peterborough artist with a wide reputation for his landscapes and wilderness scenes, are found in several private and corporate collections. While he works mostly with watercolours, Broadfoot also works in oils, acrylics and multi-media. His artwork has been featured on the cover of Rider’s Digest, textbook illustrations and in General Motors calendars. 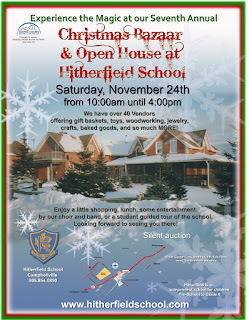 Roberta Rowland-Paterson, long-time head of the art department at Crestwood Secondary School is a talented landscape artist. Her education in art was impeccable. In recent years, she has taken exciting painting excursions to France, England, Newfoundland, an Alaska cruise and British Columbia. Her work has become known for its deft use of colour, texture and composition. Al Tye, a retired computer science professor at Fleming College, has been a dedicated volunteer with the Peterborough Theatre Guild. He directed 13 productions between 1980 and 2010, enjoying outstanding success with Proof (2008). In more than 40 years of association with PTG he was connected with more than 170 productions. Robert John Ainsworth, real estate agent, chiefly based in Peterborough Ontario, has been a successful playwright and member of the Playwright Guild of Canada writing such plays as Dirty Little Secrets, Autumn Leaves and The Mouse House along with producing musicals and children’s plays. 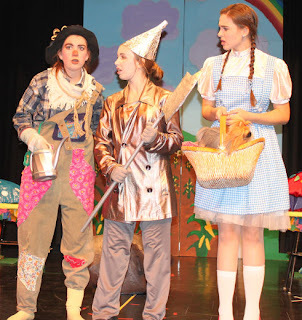 The Mouse House won as well for best Canadian play and best production in Eastern Ontario Drama League festivals. Brent Bailey, a professional musician based in Peterborough, mostly known for playing the keyboard and providing vocal accompaniment, both as a solo artist and in bands such as Ronnie Hawkins’ The Hawks, Jericho’s Wall and The Rocket 88s. It is claimed that he can play any rock ’n’ roll song ever made. Jeff Healey, Jerry Lee Lewis, The Band, Kris Kristofferson and Carl Perkins are amongst those he appeared with. Barbara Monahan, teacher, singer and musician, notably spearheading the Peterborough Pop Ensemble. She teaches English and music at Kenner Collegiate, her home school, and is the Director of Music at Grace Unite Church. 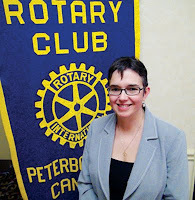 She composed songs and music for the Peterborough Children’s Chorus, the 2011 Pedal for Hope campaign, the 2010 International Dragon Boat Festival, and the 2004 Year of the Veteran amongst others. Tanglefoot, a terrific folk music group, was one of the great sensations of the mid-1970s in Peterborough and area. The group consisted of three elementary school teachers, Tim Rowat, a bilingual Joe Grant and Bob Wagar, who played guitar, fiddle and mandolin and sang tight three part harmony in period dress. They wrote and presented songs they had written about aspects of Canadian history in a style as if they had found folk songs. Jill and Peter Adams have been a great team working in countless ways to assist people near and far. Jill Adams, a nurse by training, served as president of the Peterborough Theatre Guild and as a long-time chairwoman of the Anson House Auxiliary and as a member of the board for the Five Counties Childrens’ Centre. 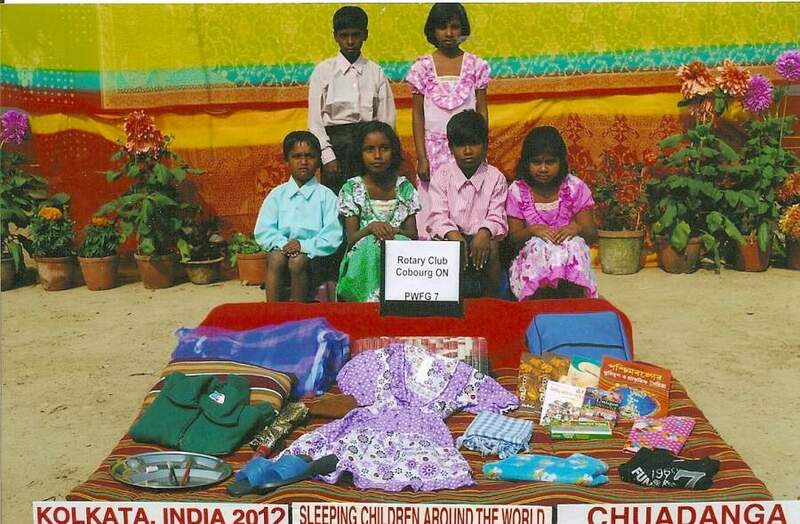 Peter and Jill have visited Bangladesh, Honduras, India and Uganda on behalf of Sleeping Children around the World. Both are also key volunteers for the Casa de Angelis home. 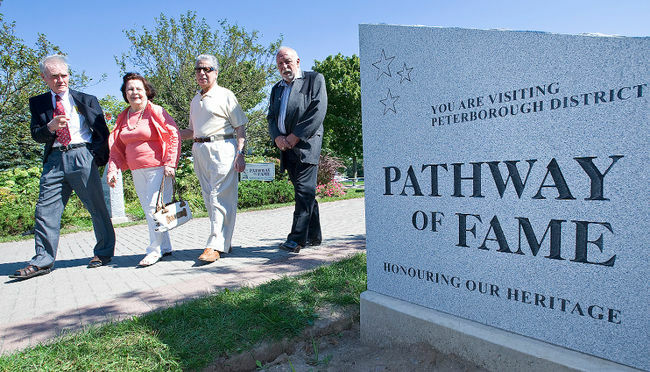 David Edgerton will always be associated with the long and successful effort to build a Wall of Honour in Peterborough to honour those who served in the military during the two world wars and Korea. 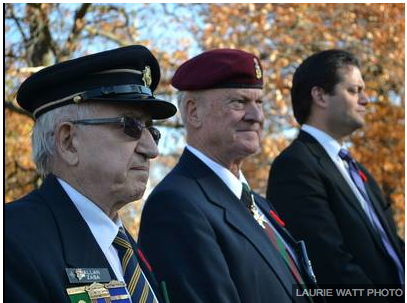 This incredible project grew out of his association since 1970 with the Canadian Legion of which he has been an outstanding leader ever since. The Wall of Honour was unveiled in Confederation Square in late 2010, and remains a tribute to all those with local roots who served in three wars. 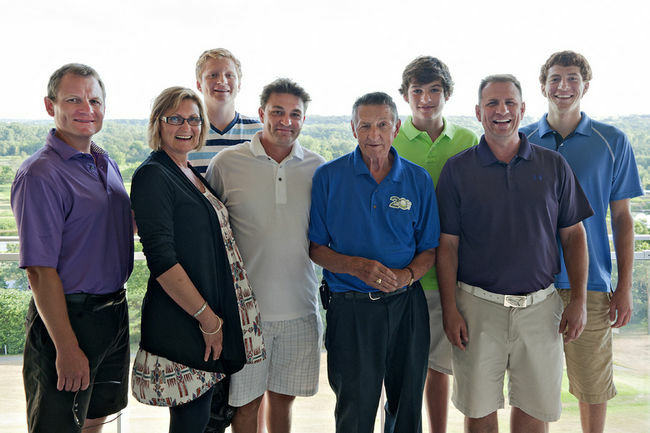 Doreen Landry, aged 90, and the widow of Pathway of Fame member, Doug Landry, has been an active Peterburian since her youth. She volunteered at Peterborough’s hospital , now call the Peterborough Regional Health Centre, for 52 years. 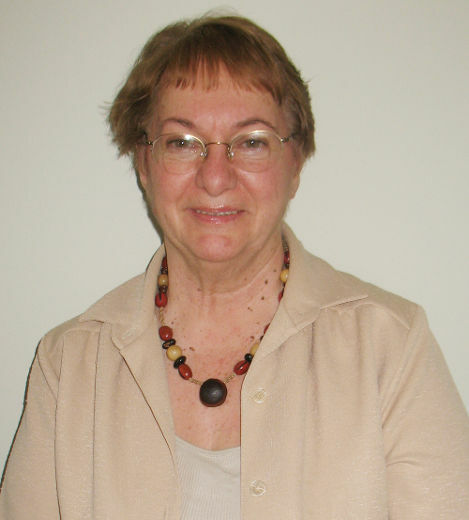 Doreen has been an active volunteer with St. John’s Anglican Church, the Progress Wives Club in the 1970s and the Quota Club in the 1980s and 1990s. As posted on Simcoe.COM, June 7, 2012. The Country Boys provide the music at a dance at Warminster Legion on June 8, at 8 p.m. Admission is $6. A charity garage sale, with all proceeds going to Sleeping Children Around the World, will be held June 9, from 8 a.m. to 1 p.m., at 1917 Ridley Blvd. in Bass Lake Woodlands. A dance at Longford Community Centre on June 9 features music by Country Memories. The event starts at 8 p.m. and admission is $5. As posted at ionstratford.ca, March 29, 2012. The 2011 Faye Herbert Memorial Scholarships were handed out at the Stratford YMCA’s annual general meeting Wednesday evening. This is the 5th year for these awards, which honour Faye Herbert who was a long-time employee of the Stratford-Perth YMCA. This year’s recipients were Julie Schmidt, Dawn Simons, Darren Hulley and Hansi Walter. 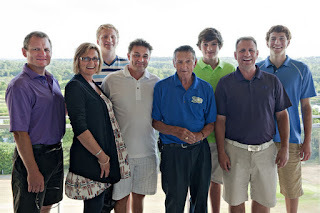 The scholarship recognizes Y staff and volunteers who are pursuing post secondary or continuing education. 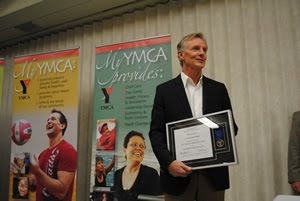 The Board of Directors of the Y also awarded its annual Peace Medal to Doug MacDougald. 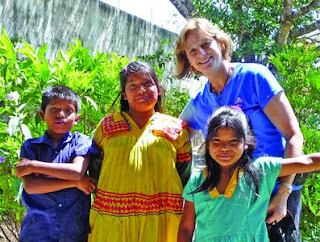 MacDougald is a swine veterinarian in Stratford, but is also a volunteer with the United Way and a travelling volunteer with Sleeping Children Around the World. “My volunteer work is my readjustment of reality,” said MacDougald after he accepted the medal. He has helped to distribute over 33,000 bedkits to children in developing countries such as India and Bangladesh. The medal is presented annually by the YMCA to honour people in the community who are championing peace, and is funded by the Ontario Trillium Foundation. 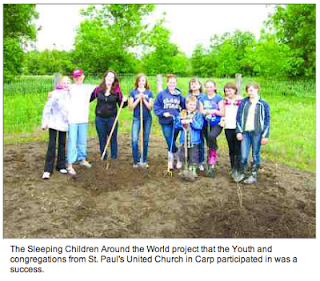 As posted by the Stratford Beacon Herald, March 29, 2012. 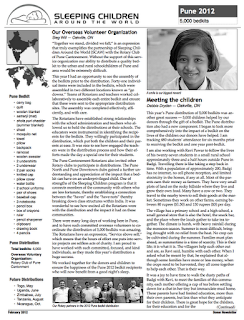 There are thousands of impoverished children across the globe who are sleeping a little more peacefully thanks to Doug MacDougald. 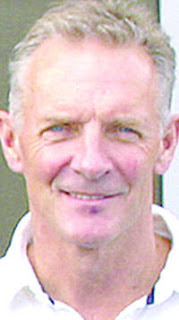 And for that, the Stratford man was recognized Wednesday night with the Stratford-Perth YMCA's 2011 Peace Medal. 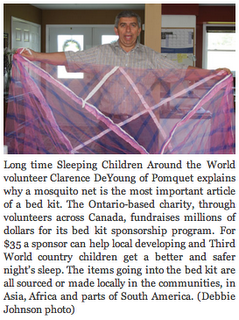 The award, presented during the Y's annual general meeting, pays tribute to MacDougald's volunteer work with Sleeping Children Around the World, a Canadian charitable organization that distributes bedkits and basic supplies to children in developing countries. The kits are central to the organization's belief that every child, no matter how poor, deserves a good night's sleep. A local veterinarian, United Way volunteer and past chair of Festival Hydro, MacDougald has travelled abroad to participate in five “distributions” to help deliver bedkits, most recently to Bangladesh last October. “Thank you Doug, for spreading peace every chance you get,” said the Y's Angela Charbonneau as she presented him with the medal last night. MacDougald was characteristically modest as he accepted it. “But a nice surprise,” he added with a smile. The medal is presented annually by the YMCA to honour people in the community who are championing peace in all its forms, noted Y chief executive officer Mimi Price. “What we do is recognize the value that people contribute at a local, regional or national level,” she said, noting that MacDougald was chosen by a committee for his “leadership and commitment” to peace. “Here's a local man saying, 'I need to make a difference in my world,' and that's exactly what he's doing,” said Price of his work with Sleeping Children Around the World. And that reflects the Y's statement on peace, she added. “Doug shows that one person can make a difference,” said Price. 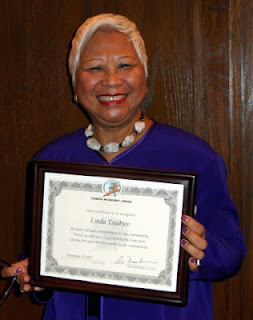 The YMCA recognized four others last night who have also made a difference. Darren Hulley, Julie Schmidt, Dawn Simons and Hansi Walter were named as recipients of the Faye Herbert Memorial Scholarship, which recognizes YMCA staff and volunteers who have made a significant contribution to the association through their work, and who are pursuing post-secondary or continuing education. 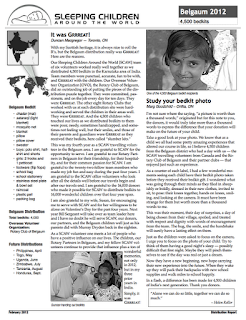 Photos are available in the Belgaum 2012 Photo Album. You can view them by clicking the link above. As posted on CountyLive.ca, March 20, 2012. Past President John Kileeg accepts a cheque from Libby Smellie, producer of Sounds of Ireland benefit concert for Sleeping Children Around the World, and Kiwanian Bill Smellie. – Not only did Libby and Bill do a tremendous amount of work to organize and produce the concert, they also personally matched the proceeds to double the amount The Kiwanis Club of Picton was able to send to Sleeping Children Around the World. The Honourable Justice Mr. Alan Ingram and Picton Kiwanis President Geri Claxton - In three weeks, Alan will be travelling to the Philippines where he will help a local Kiwanis Club distribute 6000 bedkits. 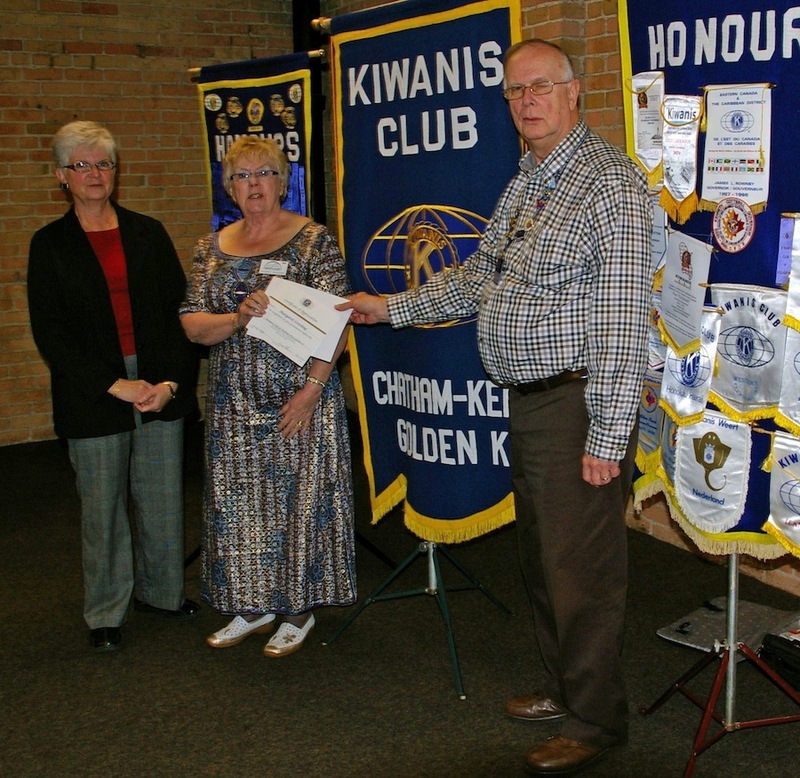 Alan will be taking a Kiwanis Club of Picton banner to present to the Philippines Kiwanis Club. Alan spoke about Sleeping Children Around the World at the benefit concert. 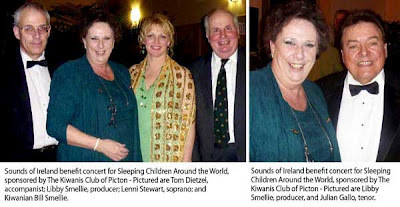 The Picton Kiwanis held the Sounds of Ireland benefit concert last Friday in support of Sleeping Children Around the World. Special thanks to: Rev. Lynne Donovan & the members of St. Andrew’s Presbyterian, Jim Wright, Rob Kellough & Paul Johnson, Gord Sterling, Bruce Dowdell, Wayne McFaul, Century 21 Picton & Napanee and also thanks to musicians Tom Dietzel and Colleen Galway for your help making this a wonderful event.